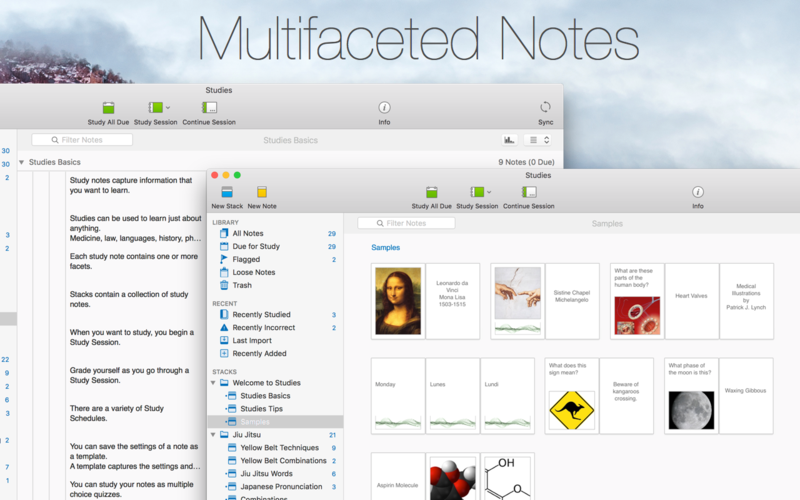 Studies 1.5.3 – Flashcards for serious students. The source list sidebar now stays open after a study session. It was closing. A arrow button now appears when the source list sidebar is closed, to make opening easier. The Smart Stack configuration sheet now adapts properly to dark mode. The main notes grid now updates properly when switching to dark mode. Next story BookMacster 2.9.1 – Organize and manage bookmarks, sync across browsers. Previous story Jutoh 2.84.0 – Create e-books in formats for sale on Kindle and iBooks. EdgeView 2.45 – Cutting-edge image viewer. VirtualHostX 8.1.1 – Host multiple websites on your Mac.